First, though, let me explain why I’m a lot like this pig here. 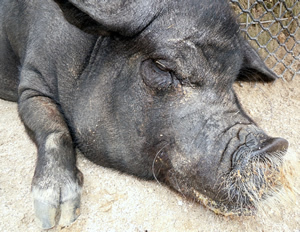 The last time we went to the zoo in town, and ventured inside the petting zoo, we saw this pig rooting about in the ground for choice morsels. I don’t do much rooting about in the ground, of course, but when it comes to expanding my knowledge of raising bilingual kids, you’ll find me rooting through my surroundings just as eagerly. It’s important to remember, I think, that “expertise” isn’t a destination, it’s the journey itself. In other words, expertise is a continuum that has no real end, and we’re all somewhere on that same continuum when it comes to raising bilingual children (or anything else, for matter). The fact is, this subject is so broad and encompasses so many different facets—theory, research, practical ideas, resources—that no one person could ever be considered the definitive “expert.” And this is especially true because the field is continually evolving as we speak, and though the basic insights on bilingualism will likely remain in place, the supply of practical ideas and resources for nurturing language ability in children is inexhaustible. This is why we can all learn from one another, no matter where we find ourselves on that continuum of expertise. Specialists in bilingualism may be better equipped to discuss theory and research, it’s true, but a big part of this quest involves those practical ideas and resources, and for that, experience itself is key—and everyone seeking to raise a bilingual child has some useful experience to share. So I’ll go on rooting about for choice morsels, in every direction, because this can only make me more effective at being a parent and a teacher to the bilingual children in my own life. And, hopefully, it will make this blog more helpful for you as well. On that note, I’ll now highlight five blogs and websites that have been a source of some choice morsels for me. As time goes by, I’ll share other online resources, too—so feel free to make suggestions, either in a comment below this post or in a personal email. 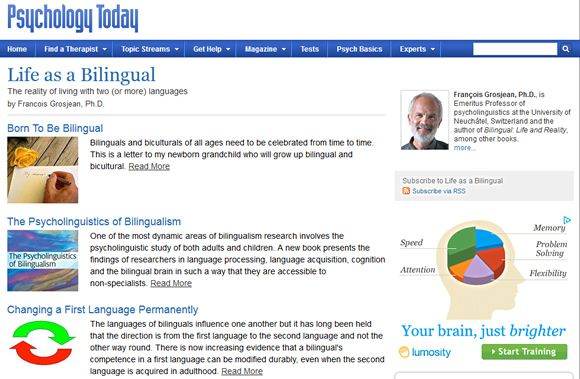 A blog maintained at the Psychology Today website by a noted authority on bilingualism, François Grosjean, Ph.D., Emeritus Professor of psycholinguistics at Switzerland’s Neuchâtel University. Bilingual himself, Dr. Grosjean writes eloquently, and with rich insight, on an array of topics related to bilingualism. His articles generally appear twice a month. A blog by Eowyn Crisfield, a Canadian specialist in bilingualism now living in the Netherlands. Writing roughly twice a month, Ms. Crisfield offers sound, encouraging guidance on “best practices” for raising bilingual children. Explore the archives for articles of interest, which date back to July 2011. 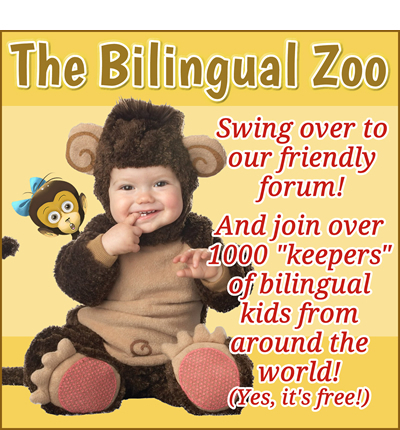 A site founded in 2004 by Corey Heller, a parent and researcher raising three bilingual children. 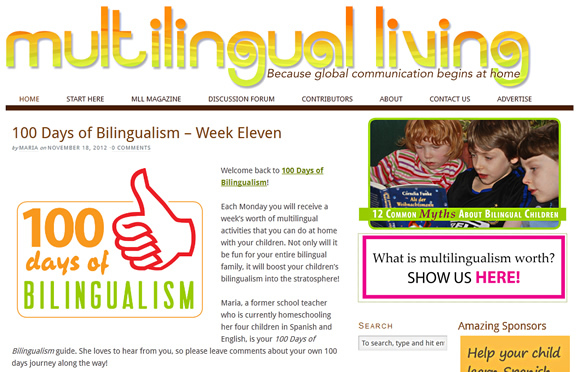 Multilingual Living offers a wealth of useful information on raising children in more than one language, including within the pages of its digital publication, Multilingual Living Magazine. (A sample copy can be downloaded freely right here, while all back issues can be accessed at a modest price.) The site also features a fairly active discussion forum. 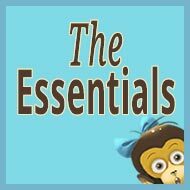 Another site with a wide variety of helpful content for parents raising children in more than one language. Founded by Christina Bosemark, originally from Sweden and now a resident of San Francisco, she brings together much of the information and insight she gathered in nurturing her own trilingual children. The site includes a discussion forum, too (called “Bulletin Board”). How about you? 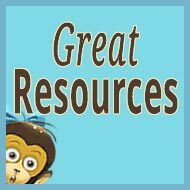 Which online resources have you found useful in your quest to raise bilingual kids? Thank you SO much for including us in this fantastic round up of great websites for raising bilingual kids. I’m a fan of all of the websites in this post—great work, everyone!! Stephanie, thanks! 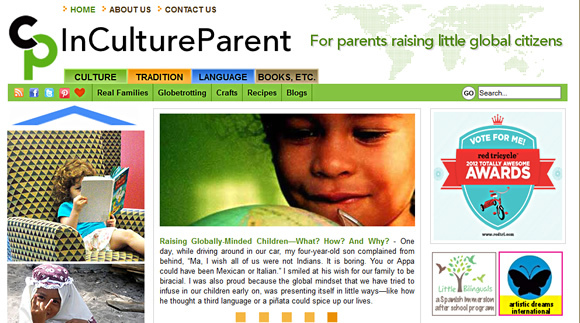 Keep up the cool work at InCultureParent! Thanks so much for featuring my blog and introducing me to yours. 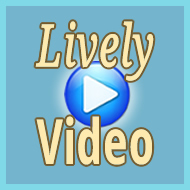 You have some fantastic resources and information here, and I’ll be directing parents to this aspect of your site. I think that a balance between theory (which is really what I do) and practice (sites like yours) are exactly what parents need. 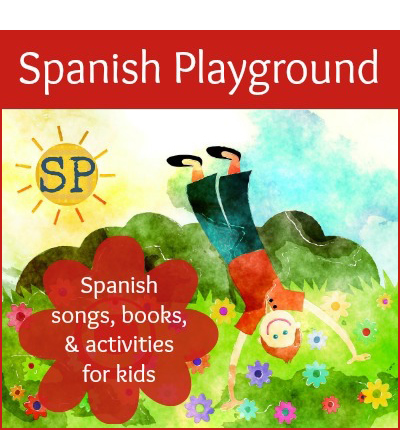 Also thanks for introducing me to Stephanie’s site—a great resource for the cultural aspects of bilingualism (the other sites are great, too, but I knew them already). In particular, I like your focus on reading—I also believe it is a key skill for developing and sustaining bilingualism. I’ll be reading more about this (my own children go to school in French, but there is much more English in our world than yours, so my journey is not as difficult). Eowyn, I’m grateful for your kind comment! 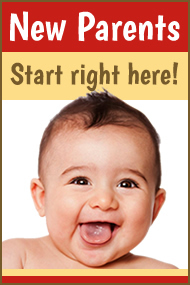 All the best with On Raising Bilingual Children! Aloha from Hawaii! My wife and I raised two successful, well-adjusted bilingual children. I was a language major in college at a university in Japan in the early 80s. At the time I had access to (what was then) cutting edge research and knowledge on raising bilinguals. A professor (and mentor) at the time assured me that bilingualism only “confused” children if the languages were mixed, as young children would have no way of knowing they were separate. So wife and I made a concentrated effort to keep the languages clean and separate at home: my wife only spoke Japanese, me only English. And wife and I only spoke Japanese with each other, so lots of weird switching back and forth at the dinner table, lol. Anyway, so many people warned us that bilingualism would “confuse” our children. Happy to see that research is supporting bilingualism, but I only have to look at my children to know that we did the right thing. It’s snowing today here in Hiroshima! I wish I could join you there in the warm Hawaiian sunshine! 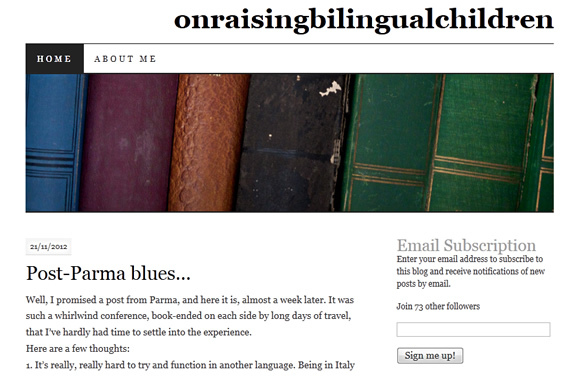 This is the first time I find about blogs on raising multilingual children. I found it really interesting. All my three children are raised multilingually and its lots of fun so far! Now I´m off to do some reading. Thanks for the recommendations! Thank you for your comment, Orana! I wish you all the best on the multilingual journey with your children! Please stop by again! Hi! I love your blog and all the posts. It is very interesting to actually see the point of view of a parent about the matter and be able to have an overview of all the blogs. I am English and moved to France with my parents when I was 6. I really appreciate being bilingual but sometimes I can find it quite hard. I actually wrote a blog post on it the other day if anyone is interested here is the link. 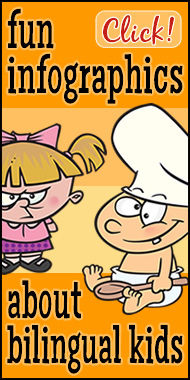 http://transenter.com/blog/bilingual/. I wish you all the best of luck with your children and hope you keep giving advise to other parents. Polly, thank you for your kind words. Positive feedback like this definitely helps keep me going! 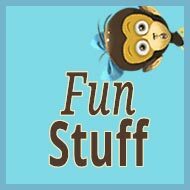 I enjoyed your blog post—thanks for sharing it. Expressions that have no real equivalent from one language to another, and so can’t properly be translated, are particularly fascinating to me (if sometimes frustrating for bilingual speakers like you!). Jeff, thanks for your kind words about my site. 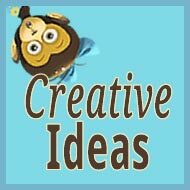 Yes, I do the design work myself, though an illustrator created the monkeys for me. Best of luck with your own blog! My daughter learned Spanish in Mexico in 3 months, so I am happy to also have a bilingual child. Now she wants to learn French. I’m glad I found your website. Kelly, welcome! It sounds like you’re making good progress on your bilingual—now trilingual—journey. If you haven’t already subscribed to my (free) weekly newsletter, you might find this useful to you, too. 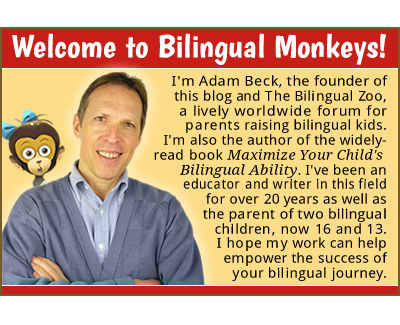 Thank you for the article, those blogs provide great bilingual content indeed. 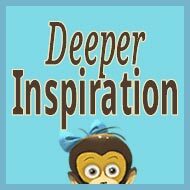 If you update your article and think my blog is of value, please don’t hesitate to add it to your list! 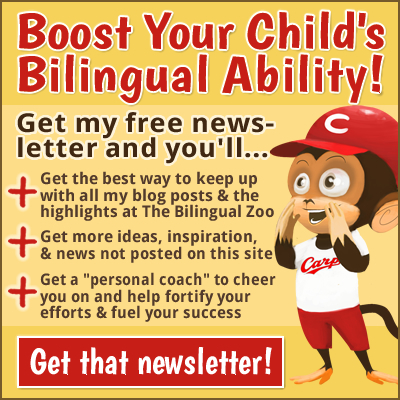 Next post: How Much Passion Do You Have For Raising a Bilingual Child?